the standard edition. 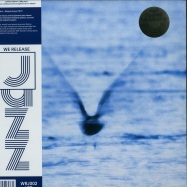 lp edition: mastered at half speed, 140g vinyl, sticker we release jazz (wrwtfww records new sister-label) is thrilled to present the official reissue of criminally overlooked japanese jazz gem mellow dream (1977) by hokkaido pianist wunderkind ryo fukui, released in conjunction with the its legendary predecessor scenery, sourced from the original masters and mastered at half speed. 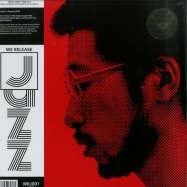 firmly standing on the foundation he laid down with scenery, ryo fukui continues his exploration of modal, bop and cool jazz sounds with meticulous grace and absolute mastery. 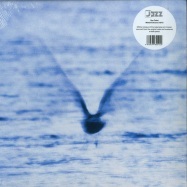 the standard edition - territory - no sales to japan ryo fukui’s 1976 highly sought-after jazz masterpiece scenery- lp edition: mastered at half speed, 140g vinyl, sticker we release jazz (wrwtfww records’ new sister-label) is proud to present its first release, the official reissue of ryo fukui’s highly sought-after masterpiece scenery (1976), sourced from the original masters and available on limited edition 180g vinyl mastered at half speed for audiophile sound and on digipack cd. ryo fukuis 1976 highly sought-after jazz masterpiece scenery in a deluxe limited edition 2018 reissue, 180g, half speed master, gold sticker, obi tag, stoughton sleeve, limited to 2000 (wrj001) we release jazz (wrwtfww records new sister-label) is proud to present its first release, the official reissue of ryo fukuis highly sought-after masterpiece scenery (1976), sourced from the original masters and available on limited edition 180g vinyl mastered at half speed for audiophile sound and on digipack cd. 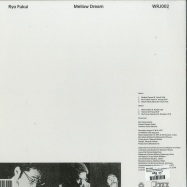 ryo fukuis 1977 highly sought-after jazz gem mellow dream in a deluxe limited edition 2018 reissue, 180g, half speed master, gold sticker, obi tag, stoughton sleeve, limited to 1000 (wrj002) we release jazz (wrwtfww records new sister-label) is thrilled to present the official reissue of criminally overlooked japanese jazz gem mellow dream (1977) by hokkaido pianist wunderkind ryo fukui, released in conjunction with the its legendary predecessor scenery, sourced from the original masters and available on limited edition 180g vinyl mastered at half speed for audiophile sound as and on digipack cd. 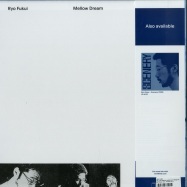 ryo fukuis 1977 highly sought-after jazz gem mellow dream in a deluxe limited edition 2018 reissue cd we release jazz (wrwtfww records new sister-label) is thrilled to present the official reissue of criminally overlooked japanese jazz gem mellow dream (1977) by hokkaido pianist wunderkind ryo fukui, released in conjunction with the its legendary predecessor scenery, sourced from the original masters and available on limited edition 180g vinyl mastered at half speed for audiophile sound as and on digipack cd. 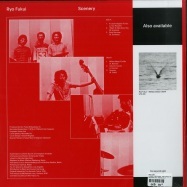 ryo fukuis 1976 highly sought-after jazz masterpiece scenery in a deluxe limited edition 2018 reissue digipack cd we release jazz (wrwtfww records new sister-label) is proud to present its first release, the official reissue of ryo fukuis highly sought-after masterpiece scenery (1976), sourced from the original masters and available on digipack cd. 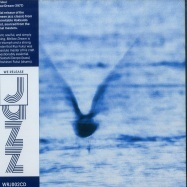 unquestionably one of the most important japanese jazz albums ever recorded, scenery reveals ryo fukui as a miraculously brilliant self-taught pianist fusing modal, bop, and cool jazz influences for a very personal, dexterous and game-changing take on classic standards made famous by bing crosby and john coltrane among others.